Touch screen display systems have evolved dramatically over the past 10 years. 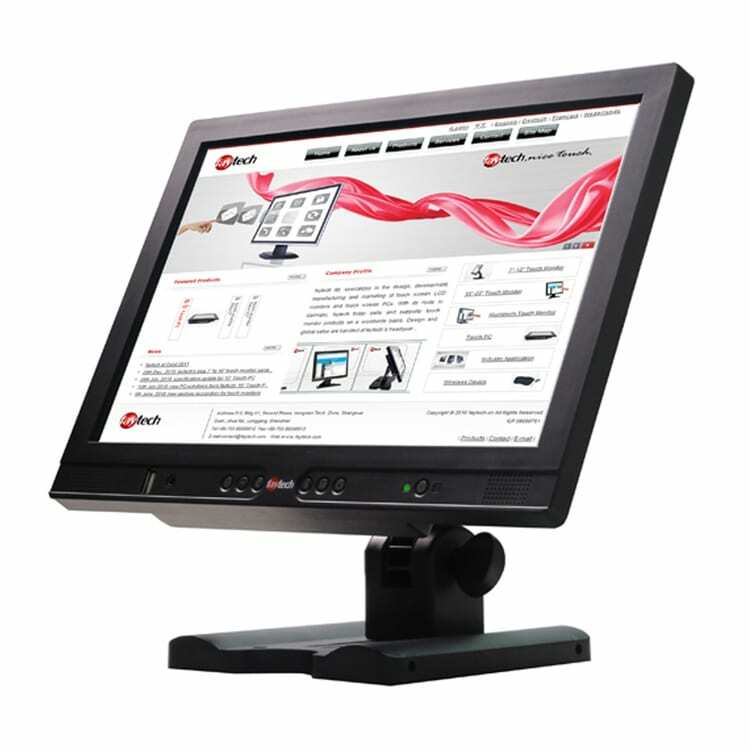 In most cases, general touch screen monitors have become one of the mainstays in both commercial, industrial and even consumer technology. A touch screen display is typically a great resource for many consumer and commercial or industrial applications because it minimizes options and creates a more streamlined process flow. A touchscreen display a also an input device. 2. Streamlined process for users. A user interacts with the computer by touching pictures or words on the screen. This leaves little room for error. 3. Different touch technology options. There are certain screens that respond to finger touches like a cell phone and others that respond to a stylus; or both. These are resistive, capacitive and surface-wave systems. 4. Both input and output devices. Unlike a keyboard that is only an input device; touchscreen displays are both input and output devices. Feel free to toss the keyboard in the trash. Touchscreens are fast. Think about it… What’s easier: pressing an icon or text bubble; or, typing in a phrase? Speed counts! Because they are intuitive, touch screens eliminate errors. Fewer options equal fewer errors. 7. The user is the expert. All touch screen developers and software developers intend to have their user’s interactions be as intuitive as possible. All-in-one solutions help to save space. Fewer accessories means more space. Plus they can be mounted on walls, stands, and embedded. New touch screen devices are made with industrial and commercial usage in mind. 1 input/output device = 1 object to clean. Fewer components reduces overall costs. Don’t give your customers limitless options. When they use your touchscreen interfaces, they need to be guided to a pre-determined outcome. faytech NA is a global leader in durable touch screen display technology providing solutions across a broad spectrum of industries. From point of sale (POS) systems, to custom kiosks, to video walls, embedded PCs and touch screen PCs, faytech North America boasts a broad range of touch screen solutions. Touch screen interactivity is becoming more prominent every day. Most people are familiar with mobile touch screen devices and touch screen tablets and now they intuitively begin to expect the same functionality from their desktop computing solutions and displays in industrial, commercial and even consumer use cases. Our customers cite many the benefits of using faytech NA interactive displays. Touch screen displays create a quick, intuitive interface and greatly simplify customer interactions. Nowadays, the general public does not need to know how a computer works. They can simply touch the interactive display and make relevant selections. Not only is time saved, but no keyboard is required which saves space and reduces complexity. The faytech North America touch screen displays are designed with public environments in mind and we pride ourselves in developing the latest touch sensors and integrating the most recent technology in our devices. faytech North America’s commercial touch screen monitors offer the best-in-market performance and we can tailor our products to meet the unique needs of our customers. If you are considering using touch screen technology in your organization, contact us today to learn more about our products and to speak with our experts about your best options.